The 2015 Audi A6 and S6 models fit between the smaller A4 and flagship A8 sedans. 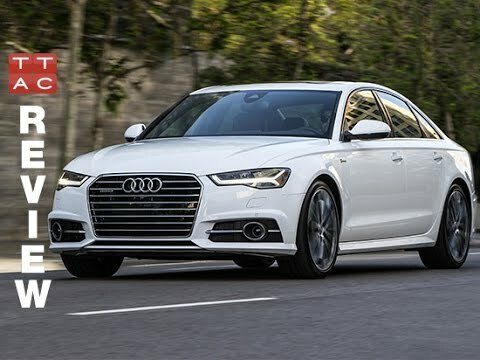 With sharp styling, a sumptuous interior, available all-wheel drive, and a choice of 4-cylinder, gasoline and diesel V6s, or a powerful V8 engine, the A6 and S6 score a direct hit against competitors like the BMW 5 Series, Mercedes-Benz E-Class and Lexus GS. Experience with my Audi a6. The Audi a6 is a very comfortable ride with lots of options and packed with helpful technology. I wish it had more legroom for back passages, it is ok for my kids but for some adults specially taller adults may be a but uncomfortable. The gas mileage is not the best but comparable to other vehicles in it class if driven appropriately and without using the sports mode which by the way is great and the car handles well but I feel my bank account dropping rapidly at the gas tank. Service at dealership can also be pricey. To me, the A6 is understated luxury and a memorable driving experience. I love my car. This is the third Audi I have owned, the first two being the A4 model. When I had a baby I needed a bit more space so I got the A6 instead. I love the body style, how it handles (great in all weather and never feel like you're hydroplaning), and the luxurious features. It is super comfortable and fun to drive. Dealerships and car manufacturers are already less than honest (if we're generous) and wading through misinformation just makes it exponentially worse. We can help, though. Here are some of the most misleading, dishonest, or outright false things you'll hear when buying a car, and the truth behind them.